In a new information brief, Forest Trends’ Forest Policy, Trade and Finance program takes a close look at the implications of Britain’s exit from the European Union on efforts to curb trade in illegal timber. They sum up six key questions in a recent blog post, reminding those concerned all EU law remains in force in the UK until the two-year process of leaving is completed. 1 July 2016 | As the shockwaves from last week’s Brexit developments continue to reverberate around the world, we take a closer look at the implications for the EU Timber Regulation (EUTR) – a key element of global efforts to stamp out trade in illegal timber and wood products – summarized in a new Forest Trends information brief. The new brief discusses unresolved concerns across the world over the UK’s future role in the fight against the illegal wood trade. We’ll tackle a few of those questions below; for a deeper dive into the consequences of Brexit, refer to the full document. This much is clear: until the two-year process of leaving the EU is completed, all EU law, including the EUTR, remains in force in the UK. The current timetable for leaving the EU is two years after the UK formally notifies the European Council of a decision to leave, and that notification will come no sooner than September 2016 when the UK Party in power selects a new leader. If the UK is outside the EU but wishes to maintain access to the single market (which powerful British interests insist is an absolute priority), then the UK will be required to implement the same environmental laws as the Members of the EU – as Norway now does. It is therefore highly likely that the EUTR’s requirements for “Due Diligence” and prohibition on the import of illegal wood will not change, although they may be renamed. In this scenario, any future amendments to the EUTR by the European Commission (EC) would require equivalent changes in parallel UK legislation in order to ensure continued access to the EU single market. In the unlikely event that the EUTR is removed, or different standards to the UK’s equivalent legislation – the Timber and Timber Products (Placing on the Market) Regulation of 2013 – are negotiated, these changes would not come into effect until late 2018. However, it is important to note that the UK has been among the leaders in implementing the EUTR, and all available information suggests that it remains fully committed to it. 3. Does the UK leaving the EU risk weakening EUTR implementation in the remaining 27 Member States? Implementation of the EUTR in remaining EU Members States will not be affected. 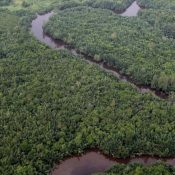 Just this past month, the EU Council adopted conclusions from the recent evaluation of the EU’s overall strategy to tackle illegal timber, known as the Forest Law Enforcement, Governance and Trade (FLEGT) Action Plan. Those conclusions emphasize the positive contribution that EUTR has made toward reducing the market for illegal timber and call upon Member States to do even more to tackle the global trade in illegal wood. They also reaffirm the mandate of the European Commission to support consistent implementation across the EU. The UK has been and will continue to coordinate enforcement approaches with EU Member States, just as non-EU countries Norway and Switzerland have been doing, along with the US, Canada, and Australia, in an informal government process known as the Timber Regulation Enforcement Exchange (TREE). A weakened British Pound coupled with a UK-wide recession could reduce the demand for all goods, including wood products, but it’s difficult to predict how Brexit will affect demand for wood imports, specifically. It is safe to say that the impacts of a devalued pound are likely to be felt by exporters immediately. Should Brexit lead to a recession, the timing of its impact on wood importers would depend on many other factors. For example, if the UK leaves the EU single market, the UK could be expected to import less from EU furniture manufacturing centers in Poland and Romania – opening the door for non-EU manufacturers to become more competitive in the UK market. 6. Would there be any change in legality requirements for EU wood products – either those exported directly to the UK, or European wood processed by another country (e.g., China or Vietnam) and re-exported to the UK? Theoretically, once it has left EU, the UK could enforce its national “Timber Regulation” against buyers of products made from any wood that was illegally harvested inside the EU, for example in Romania. Any dynamic like this would take at least three years to play out. The safest way for UK importers to avoid this risk is to buy certified or otherwise third-party audited wood from within the EU. Kerstin Canby is the Director of the Forest Policy, Trade and Finance program at Forest Trends. She can be reached at kcanby@forest-trends.org. Jade Saunders is a Senior Policy Analyst at Forest Trends and an Associate Fellow of the Energy, Environment and Development Programme at Chatham House. She can be reached at jsaunders@forest-trends.org.